Today I held a press conference at the Capitol along with Speaker of the House Joe Aresimowicz, colleagues, and Vo-ag students to promote continued investment in Vo-ag programs at Connecticut high schools. The press conference coincided with Ag Day at the Capitol, an event where businesses and organizations in Connecticut’s agriculture community showcase their contributions to the state’s economy. Connecticut has 19 agricultural science and technology education programs, known as Vo-ag programs, at high schools across the state. 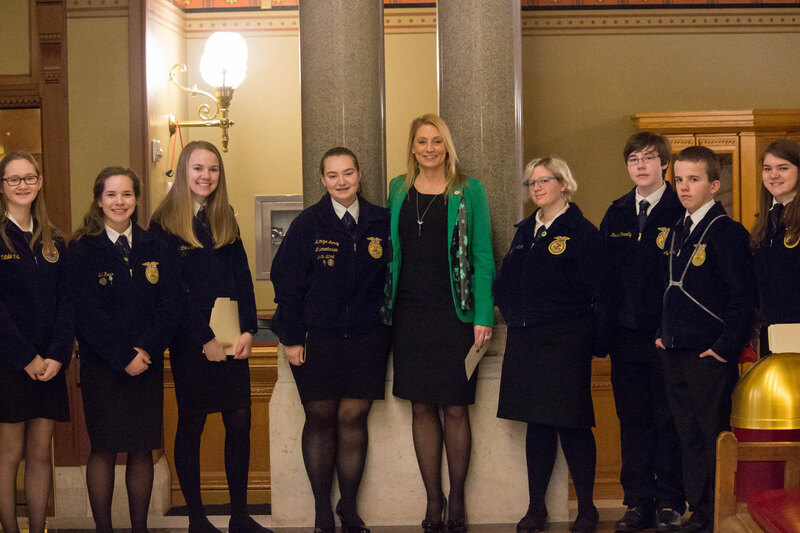 Agriculture is essential to Connecticut’s economy, and Vo-ag programs give students the skills they need to contribute to a growing industry right here in the state. This is an industry that benefits all of us – when people buy food locally they’re eating healthier and putting their money back into the community. The programs at Wamogo, Housatonic Valley, and Northwestern High Schools have been a great resource for students from Torrington and the surrounding area. Particularly in this difficult fiscal time, it is crucial that we continue to invest in programs that fuel our state’s economic growth.